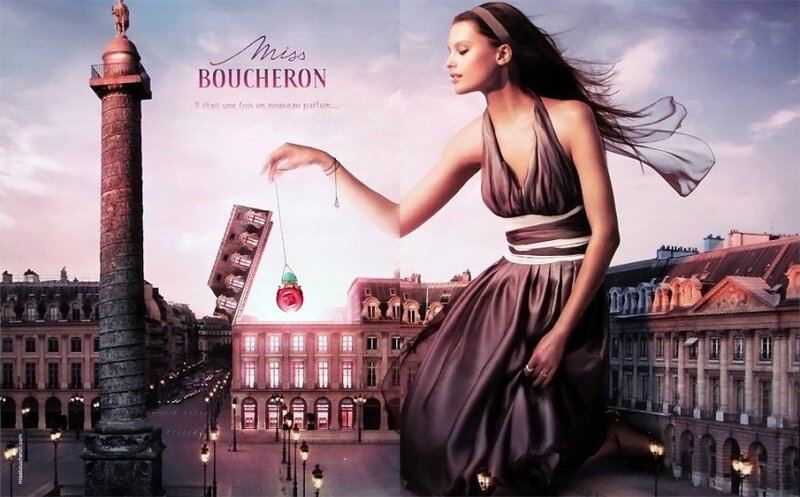 Miss Boucheron is a perfume by Boucheron for women and was released in 2007. The scent is floral-fruity. The production was apparently discontinued. 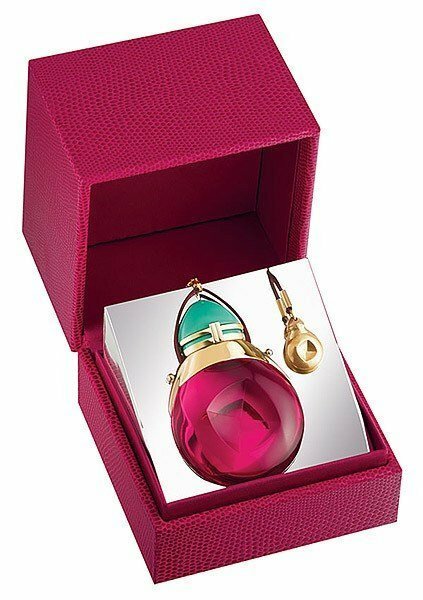 Miss Boucheron opens with a brief spray of bergamot citrus before a growing fruity pomegranate and raspberry accord joins a somewhat synthetic smelling rose and white musk tandem, with just the faintest whiff of underlying gentle pink pepper in the heart. As the fragrance enters its dry-down the rose and fruity accords both recede, revealing a slightly spicy woody base that combines with the remaining synthetic musk now acting as support. Projection is excellent and longevity is outstanding at well over 12 hours on skin. I bought Miss Boucheron blind due to someone mentioning that it smelled very close to Le Boise by Ginestet, a fragrance that I enjoy but don't get great performance out of. Unfortunately, I see little resemblance between the two and Miss Boucheron is a *much* sweeter fruity floral concoction. The noses behind Miss Boucheron are a couple of the best out there, and while their raw material budget may have been limited (as the fragrance definitely has a very synthetic vibe throughout), their skill is quite evident and it is clear they did the absolute best they could with it. My favorite part of the development is the dry-down, as the slightly woody facets of the fragrance finally are revealed. The bottom line is that while I am not the target demographic for Miss Boucheron (as it definitely has a distinct feminine bent to my nose), I am not disappointed in this blind buy at all as it is quite the outstanding value at its under $30 a full bottle price online, earning a "very good" rating of 3.5 stars out of 5 outright. I have to admit I love Miss Boucheron. I have the original Boucheron which I wear on special occasions only but Miss Boucheron is one of my favorite casual perfumes. I love how the fruity notes are combined with the fresh floral notes and a touch of suede. The scent is modern, pretty and young but also chic. The composition is not complex or dramatic but it is graceful, light and sparkly. I get lots of compliments when I wear it. The pomegranate note is playful and lovely in the opening mixed with a nice doze of pink pepper. I love roses and I can definitely smell them in the heart notes but I think the lead floral note here is the cyclamen. I think it is the cyclamen that makes the heart notes to smell so fresh and gentle. The suede note is very feminine and soft here. It mixes lovely with the freshness of cyclamen. The dry down is similar to the heart notes but toned down a bit. The scent becomes lighter in the dry down but it lasts for at least 8 hours. 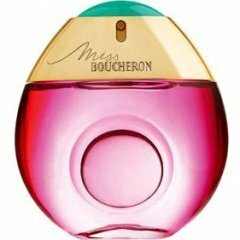 Miss Boucheron is a lovely, sassy and casual fruity floral that I definitely recommend trying. Write the first Review for Miss Boucheron!